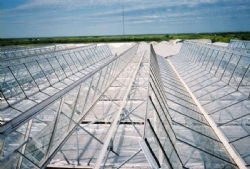 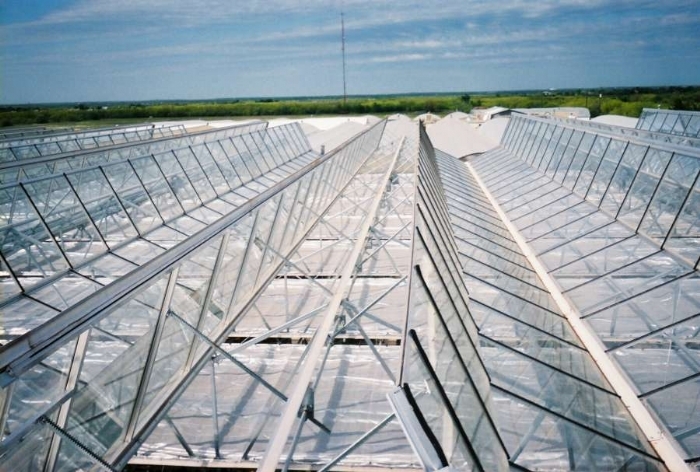 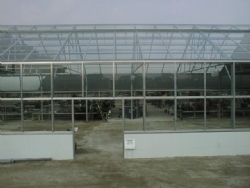 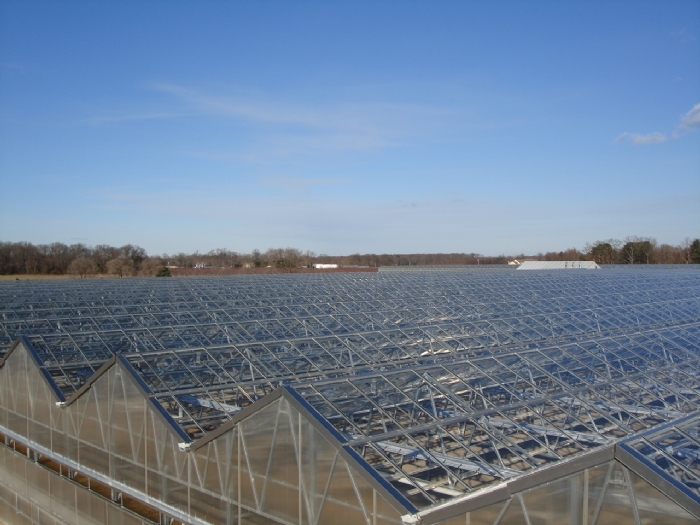 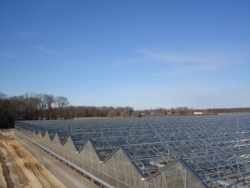 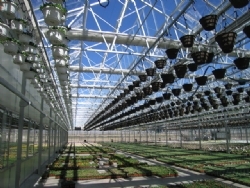 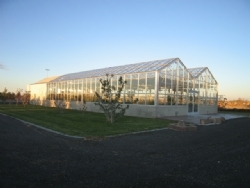 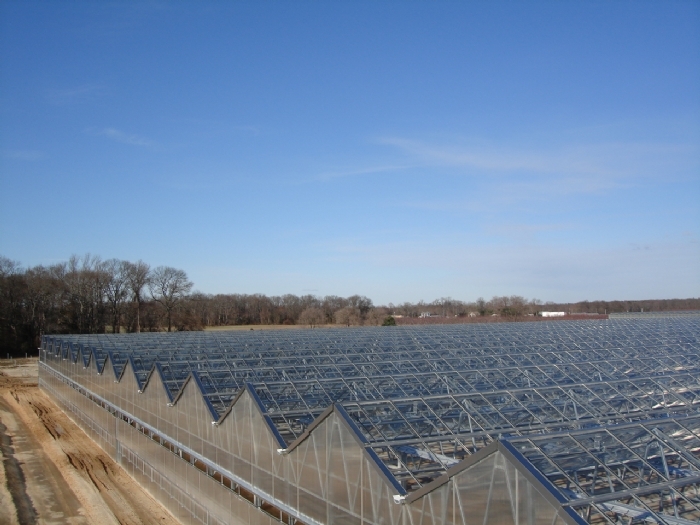 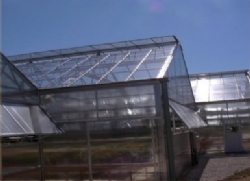 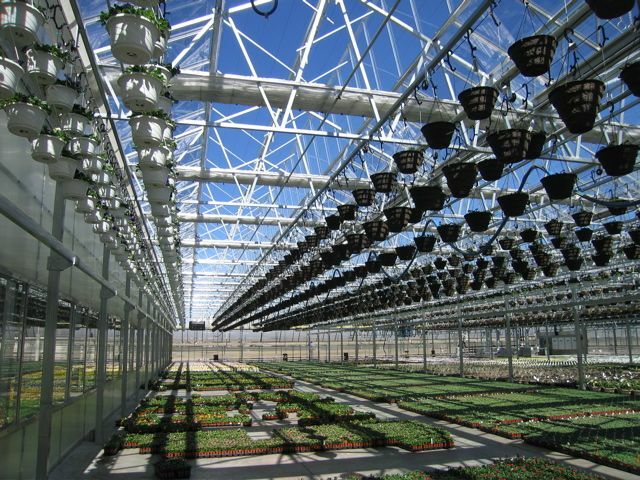 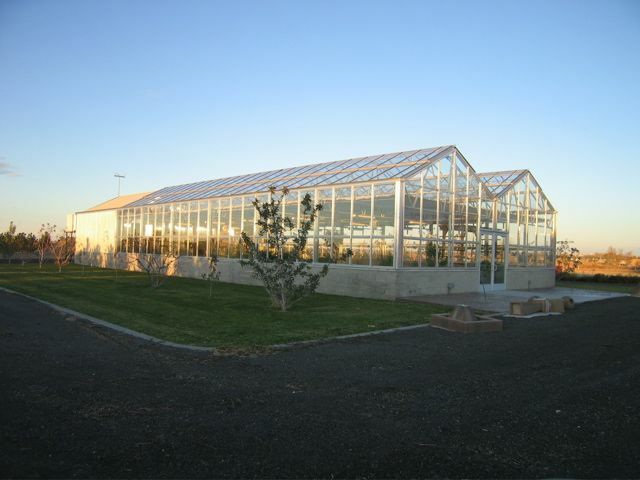 Glass is the traditional greenhouse covering that is used in a myriad of ways in today’s market. 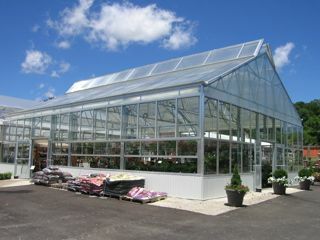 Today’s glass products allow for wider bar spacing and still withstand the required snow and wind loading. 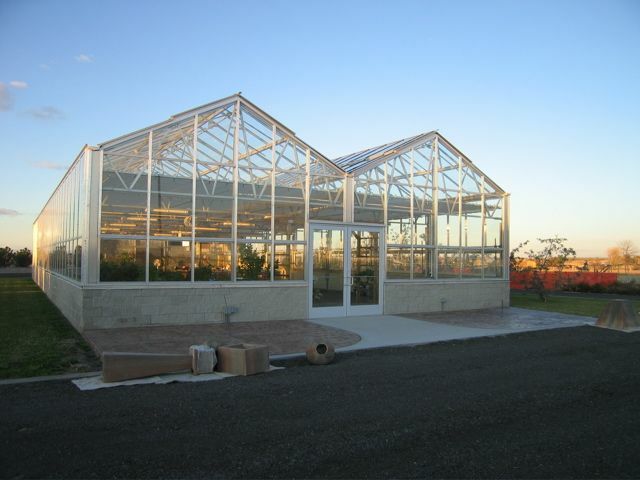 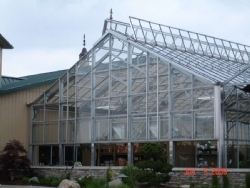 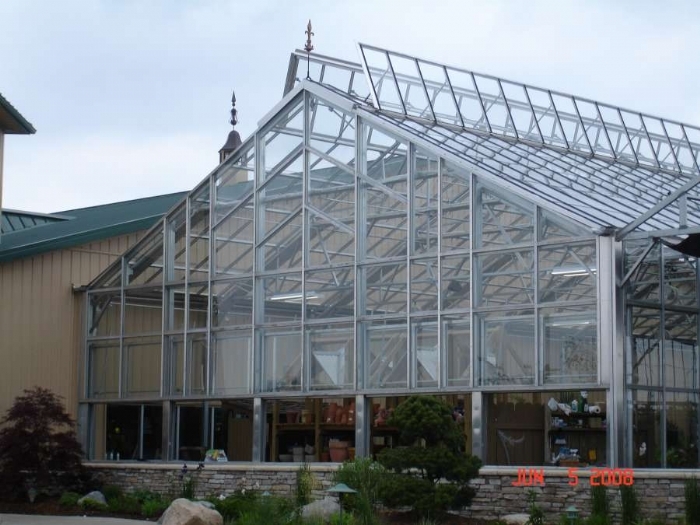 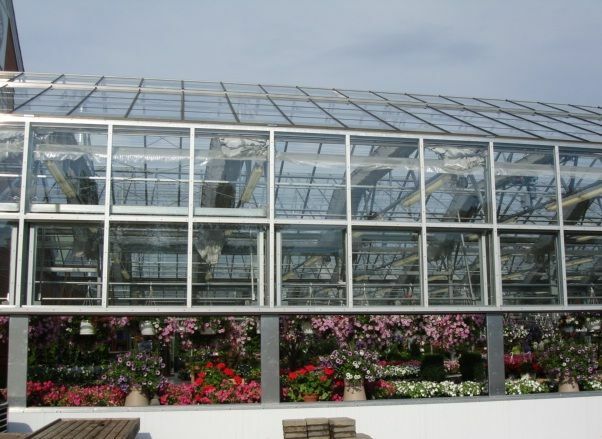 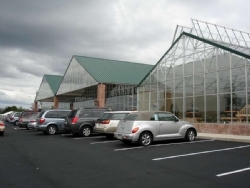 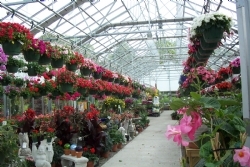 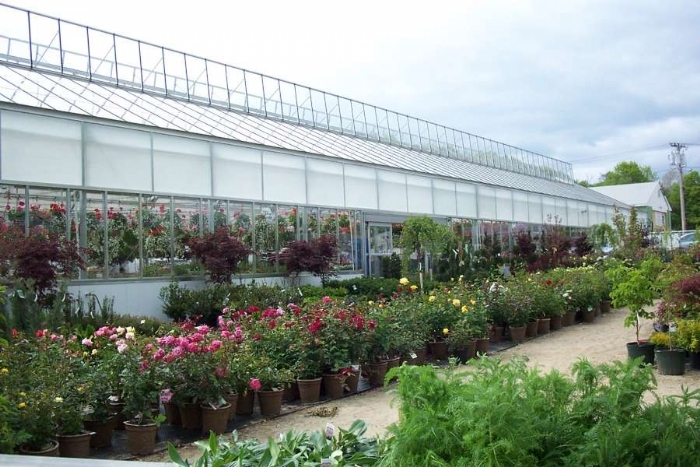 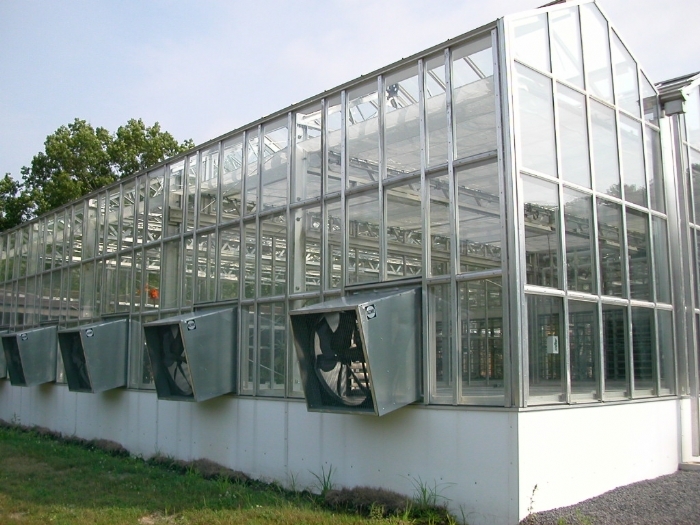 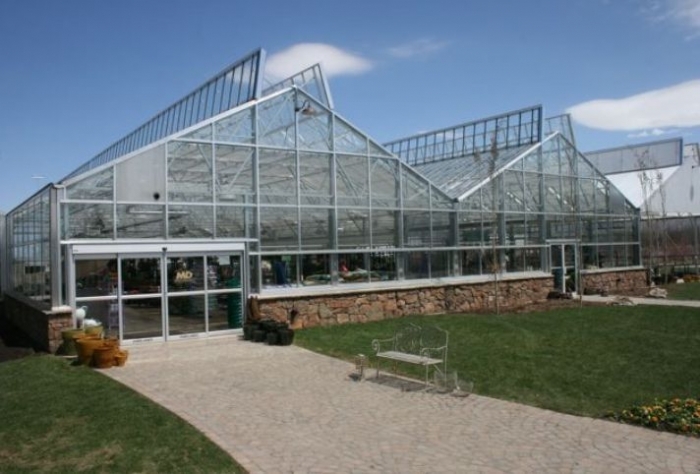 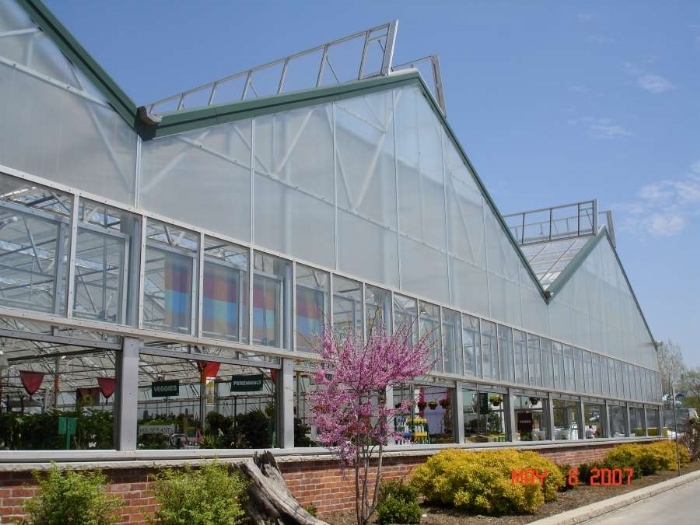 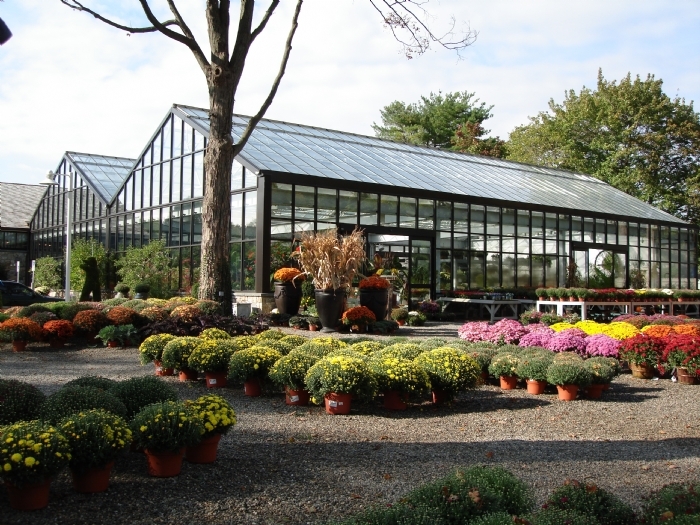 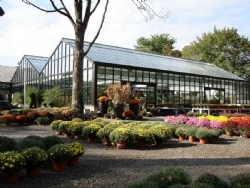 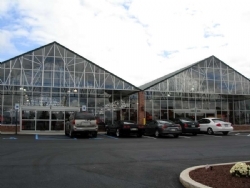 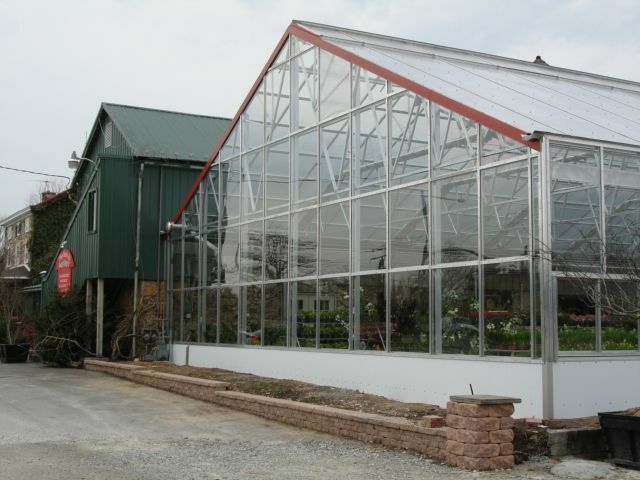 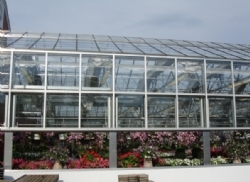 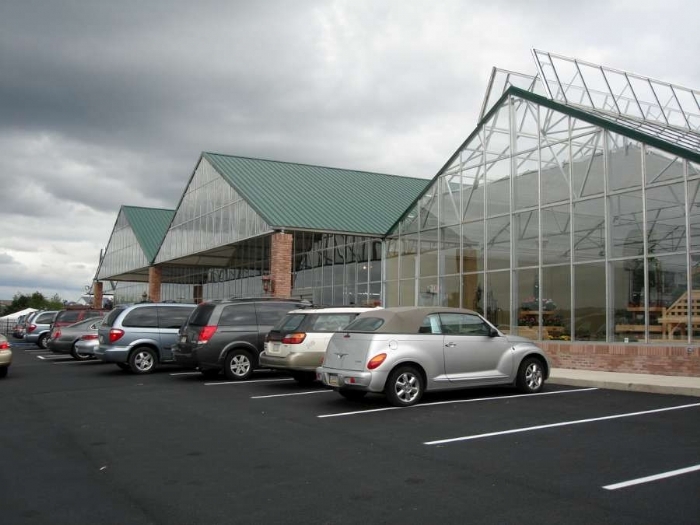 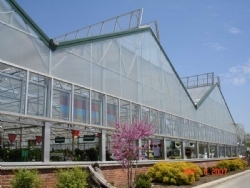 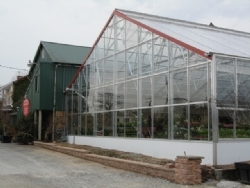 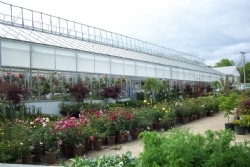 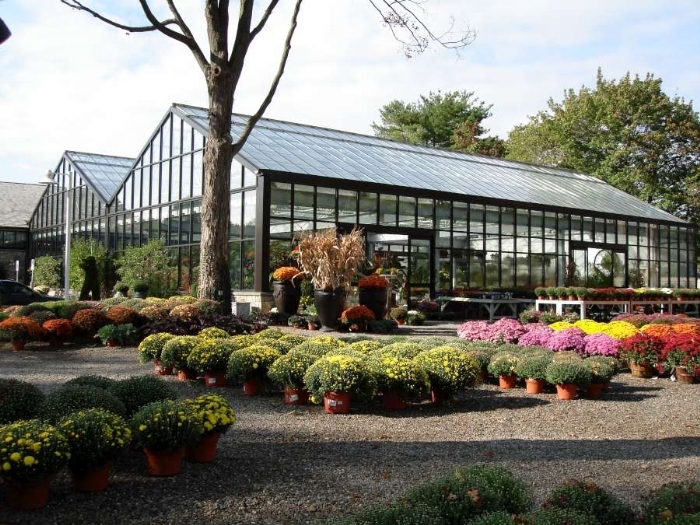 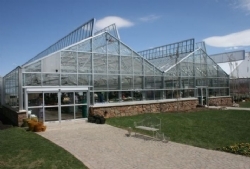 The various styles of glass that are used include tempered, laminated, colored, insulated and Low-E.
Greenhouse glazing systems are popular as storefront systems in garden centers.